How much turmeric do I need? Turmeric has become a very popular rhizome. You might even consider it the herb of the moment. You’re probably seeing it in everything from drinks, supplements, superfood mixes, and recipes. There’s a lot of good, and a lot of inaccurate information out there, so let’s clear some of that up, shall we? Turmeric is typically used to reduce inflammation. We now understand inflammation is a large part of most diseases, especially chronic diseases, which are the primary killers in our Western civilization. Chronic diseases are things like eczema, asthma, heart disease, diabetes, rheumatoid arthritis, autoimmune diseases, thyroid dysfunction, cancer, anxiety, and depression to name a few. Turmeric can be helpful in addressing all of these chronic diseases. Sound too good to be true? It’s not. You’ll get the most benefit when you address inflammation at the source, which is what turmeric does best. Chronic diseases cost us 2.5 trillion dollars each year just in just the US alone. It’s also estimated that 133 million Americans have one OR MORE chronic diseases. These statistics show things are going from bad to worse. Finding multiple ways to fight inflammation is an essential part of becoming and staying healthy in our modern world. Turmeric is a wonderful and versatile herb that helps reduce inflammation in many ways. Research shows it may help your liver do a better job of dealing with inflammation. The first step is to add more of it to your diet. You can add turmeric powder to pretty much anything you eat or drink. Try putting a 1/4tsp in your smoothies, soups, coffee, tea, and even salad dressings. There are also a few things that will amplify the benefits of eating turmeric. First, eat it with good fat such as coconut milk, avocado, and even butter. Second, eat it with black pepper because pepper enhances the absorption of curcumin. These combinations increase all the great benefits you receive from turmeric. The next layer is to add in a supplement with turmeric extracts. Diet alone cannot provide enough turmeric to fully address the level of inflammation present in most of us. This is where supplementation can be very helpful. First, look for turmeric extracts that contain at least 95% curcumin, one of the most active compounds. Research shows it’s great at supporting your liver to reduce inflammation while helping to protect your liver function, unlike over-the-counter drugs like ibuprofen, acetaminophen (Tylenol) and naproxen (Aleve), which can actually harm your liver. Second, combine turmeric extracts with other herbs and vitamins. This works on many facets of inflammation and creates multiple layers of health building support. A good anti-inflammatory contains multiple ways to reduce inflammation. This is true of my favorite, Advanced Anti-inflammatory Complex, which includes 4 different herbs, 5 nutrients, and enzymes. Multiple layers of support are always the best route to maximize rapid healing. Moving forward, try eating turmeric more often AND add in a good multi-faceted anti-inflammatory supplement to give yourself the tools required to fight inflammation every day. 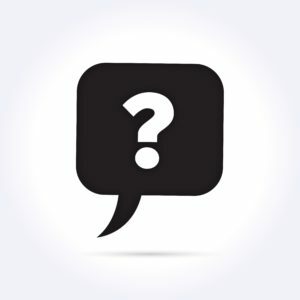 If you have a question for Dr. Allegra you would like considered, please submit it to info@naturaeclinic.com with the subject “The Doctor Is In Question”. Dr. Allegra Hart is a naturopathic physician, speaker, bestselling author of Nourishing Space Within: Essentials of Self-Care, founder of Naturae Naturopathic Clinic and Dr. Allegra’s Apothecary, and works with patients worldwide. Dr. Allegra specializes in helping women cultivate natural self-care and rebuild their health from the inside out. When we do the work necessary to create a healing foundation of our own, the ripple effect will inevitably ignite others to do the same.